Read Dr. Marinides’s initial post. Thanks Mina, for taking the time to write such a detailed response. I read the whole thing and it offers much food for thought and further investigation. Your faulting of me for not doing enough research is in several cases justified and I will strive to make up for those lapses in any future contributions on this topic. You express frustration with my approach. You write: “It is very clear therefore that you are a man who wants to uphold a tradition upon which you search for those things that affirm your beliefs and presuppositions. However, is that really honest?” But I think this is rather unfair of you: would it be really honest for me to ignore the patristic and conciliar tradition of my Church as the background and foundation of my views? When I visited St Macarius Monastery in Egypt in 2008 for two days I was asked by my guide, one of the monks, about why I had misgivings about the proposed reunion. I responded that I felt uneasy ignoring the writings of my Church’s Fathers, as I thought he would feel uneasy ignoring the writings of his. He seemed satisfied by this answer. You also question my decision to begin with ecclesiological issues. You point out that schisms have been healed in the past, but I would respond that all of those were of relatively short duration (e.g. the reconciliation of homoiousians and other “Semi-Arians” via the Tome of Antioch in 362, the Reconciliation of 433 between St Cyril and John of Antioch, the healing of the Acacian Schism between Rome and Constantinople in 519, and perhaps of longest duration, the return of the Byzantine Church from iconoclasm at the 7th Ecumenical Council in 787, after almost fifty years of official iconoclasm — although of course that wasn’t the end of that controversy). A split of 1,500 years presents a far bigger problem for Orthodox ecclesiology (just as the split of nearly 1,000 years with the Roman Catholics does). Perhaps this can be resolved in a way that is consonant with true ecclesiology, but I am at a loss as to how. I for one do not share the rigorous “Cyprianic” ecclesiology of some of the critics of the Dialogue. My understanding of ecclesiology is based on Fr Florovsky as well as I’ve been able to understand him; according to which, the (Chalcedonian) Orthodox Church is the Una Sancta, to which other Christian confessions maintain mystical ties through their sacraments, which however are valid not in their isolated schismatical/heretical state but inasmuch as they point the way back toward the unity of the Orthodox Church. This is why (re)baptism need not be administered to certain categories of those being reconciled to the Orthodox Church. Even one of the staunchest proponents of the Dialogue on the Theological Faculty of the University of Thessaloniki, Georgios Martzelos, argues that the Non-Chalcedonians are schismatics (not heretics, because they possess “ideological orthodoxy,” by which he seems to mean that their theology does not in essence differ from the formal Orthodoxy of the Chalcedonian tradition) who must formally accept the Seven Ecumenical Councils (i.e. their definitions, not necessarily their anathemas) in order for union to be achieved. No doubt you wouldn’t find even such a “conciliatory” view of your ecclesial status welcome, but it would be hard for us Chalcedonian Orthodox to go beyond this without betraying our very ecclesiological self-consciousness and falling into some variety of branch theory. I have noticed that the MDiv thesis of Will Cohen is available here, and I look forward to reading it to see if he has any sound suggestions. Furthermore, you suggest “How about we take from our traditions the theology we teach, see where the essential theological disagreements lie and where they do not. Then see if the councils and fathers on both sides of the issue (Chalcedonian vs. anti-Chalcedonian) affirmed those basic theological principles.” This seems very reasonable, but upon further reflection it raises a major problem. You seem to assume that orthodox theology can be abstracted from the Councils and Fathers, but that is simply not the case. What would such a theology look like? What language would it use? At best, as a most optimistic solution, I could possibly foresee that the theology of Severus and the other Non-Chalcedonian Fathers would be found, after careful and profound study, to agree with the meaning of the dyophysite theology of the Chalcedonian Fathers, and be accepted on that basis. This would still leave open the problem of how the mix-up occurred in the first place, but at least it would satisfy most open-minded Orthodox that you all believe the same as we do. The Dialogue until now has proceeded on the supposition that we could just rewind the clock back to St Cyril. But that is like trying to rewind the clock on the Arian controversy to before the Council of Nicaea, or at least before the Cappadocians. The parallels are instructive (in general, the parallels between the 4th- and 5th-century controversies would repay further study): the Cappadocians’ use of the term “hypostases” to refer to the different persons of the Trinity went beyond St Athanasius’ preferred terminology and eventually supplanted it (although he had allowed its use the Tome of Antioch), just as the use of the two natures terminology at Chalcedon went beyond St Cyril’s preferred terminology (although he had allowed its use in the Reconciliation of 433). In any case, even if we grant for argument’s sake that the Non-Chalcedonian expressions might be correct, the terminology of the Chalcedonian tradition is clearer, more sophisticated, and more complete, and thus should serve as the criterion. As a corollary to that, I would suggest that you (and Fr V.C. Samuel) misrepresent St John Damascene’s theology of hypostasis, apparently ignoring his use of the terminology of the “enhypostaton” (which predates him). I admit that it’s been over a decade since I read Fr Samuel’s book, so I have just ordered it from a neighboring library to follow up on what you write. As for the Damascene’s interpretation of “one incarnate nature,” the various interpretations depend on whether one reads the Greek as μια φυσις του Θεου λογου σεσαρκωμενη or μια φυσις του Θεου λογου σεσαρκωμενου. Either version can be interpreted in line with St John (who is just repeating early Chalcedonian interpretations of the phrase), since in both cases the “mia physis” is interpreted as being equivalent to “mia hypostasis” (and hence referring to God the Word as subject) and the adjective σεσαρκωμενη or σεσαρκωμενου implies human nature: the Chalcedonian interpretation amounts to “one incarnated hypostasis of God the Word” or “one hypostasis of the incarnated God the Word” depending on which manuscript reading one chooses. So the objections of Fr McGuckin and of Dr. Van Loon are rather spurious. Nicholas Marinides hails from Buffalo NY. He holds a PhD from the Department of History at Princeton University, with his dissertation on the topic of lay piety in seventh-century Byzantium. He is also a research fellow in the Department of Theology at the University of Basel in Switzerland, where he currently lives. Some of his published work can be accessed online. Thanks for this follow-up. I deeply appreciate that you have managed to stick up for a few of your objections while maintaining a respectful and honest tone. It is only in presenting serious hesitations in a voice of love that we can make progress. I thought I would comment that this recent back-and-forth only affirms for me something that I have suspected since beginning my own work on these questions. I think that at present the really big thing missing in the dialogue, theologically speaking, is a bold and firm affirmation of the Orthodoxy of the Chalcedonian position. In the many official documents, and in these very forums, we have seen rigorous (and I think, generally correct) assertions of the Orthodoxy of Severus and other miaphysites. I applaud the important work that has been done on this. But have we also, and with equal rigour, affirmed the Orthodoxy of Pope St Leo, and the many other great Chalcedonian theologians that followed? If many (quite probably the majority) of the EO are willing at this point to rescind anathemas against Severus, and perhaps even begin painting icons of him, does the same hold for the non-Chalcedonians on St Leo? Then, how about St Maximus or St Gregory Palamas, whose theology is utterly central to modern EO thought, and who wrote within a decidedly dyophysite vocabulary? This is to say that I think you are right that we EO cannot be expected to simply enter into a reunion that “turns back the clock” on people whose images hang on our walls, and whose feasts we celebrate each year with joy and vigour. So far in this dialogue, there has been surprisingly little space made for us–our own theological vocabulary has either been ignored, or taken for granted as the “big dog” in the conversation. But that has left far too many questions. I take your words here as, in some sense, a request that we begin building space for Chalcedon in our work for reunion (forgive me if I’m over-reading!) If so, I heartily concur. I do so not in the hope of thwarting reunion (I deeply long for it, and pray earnestly for it), but rather in the hope of making certain that our reunion is sturdy and well-founded when it does, I pray, eventually come. My thanks, also, to all the writers and poster from the OO side who have participated in Christian love. Continuing to hear your theological and ecclesialogical perspective is crucial. I do, however, sincerely hope that you will not treat anyone with hesitations as an obvious adversary of reunion, and that you will extend some space to hear out the concerns that still need to be addressed in order for full and vigorous approval for the reunion to come from our side. Thanks Dr. Opperwall, for your nuanced response. I think you put your finger on something I’ve sensed but had not quite been able to express. I will definitely consult the videos of the conference at Trinity College that you linked in your first response to my original post. the Byzantine tradition. Nevertheless, he remains on the level of genuine theological culture and deep ecclesiality (glubokaia tserkovnost’). Gavrilyuk, Paul L. (2013-12-19). Georges Florovsky and the Russian Religious Renaissance (Changing Paradigms in Historical and Systematic Theology) (Page 248). Oxford University Press, USA. Kindle Edition. St. Cyril allowed two-natures and was even attacked for “enduring and praising” those who used it (see below). Mina called Severos a pillar of Non-Chalcedonianism, Severos called the Tome “the lifeblood of the abomination of Nestorius”; but our Holy Fathers called the Tome a ‘pillar of Orthodoxy’. Surely, the ancients on both our sides weren’t oblivious, arguing and dying in vain. This is not meant to be taken as some defiant challenge, but can they supply us with Miaphysite pillars that reasoned like St. Cyril in these quotes below? Yes, Fr Romanides’ extremely anti-western attitude is problematic. Unfortunately it seems to have colored his theology more and more as he got older, so that I usually find only his early work useful, although his idea of a Frankish takeover of the Papacy and the western Church has a kernel of truth. I remember reading one of his articles attacking St Leo and Theodoret, and being appalled by it. Do you remember which article it was? As a clarification to you and any other Pro-Chalcedonian, our Orthodoxy is not defined by our imitation of you. Nor is it defined by your approval. We are not waiting for anyone to call us Orthodox, because our Orthodoxy is an objective reality based on our adherence to the Holy Fathers, and especially the proper understanding of St. Cyril before his message was misinterpreted by Antiochene theologians after the Formulary of Reunion. You have to believe that the Pro-Chalcedonian Church is entirely Orthodox, because this is the key to your salvation, but remember! — We believe the same about our Non-Chalcedonian Church. Any dialogue has to begin with this understanding and work out a reconciliation of the Alexandrine and Antiochene interpretations of St. Cyril’s Christology. Fr Moses, by your statement that “[St Cyril’s] message was misinterpreted by Antiochene theologians after the Formulary of Reunion,” are you imputing this misinterpretation to Chalcedon and its followers? If so, it would point to one of the problems that Dr. Opperwall noted in response to this post, that Chalcedon has implicitly been treated as the black sheep in much of the discussion. Have the Non-Chalcedonians really accepted the theology of Chalcedon and its subsequent developments by the Chalcedonian Councils and Fathers as fully orthodox? Also, Dr. Marinides, we should also question whether the Pro-Chalcedonians themselves accepted the Christology of that council as fully Orthodox. I oftentimes wonder very few Pro-Chalcedonians speak about Constantinople II in 533 A.D. in which the Christology of Chalcedon had to be refined and reworked to avoid similarity with then-extant heretical Christologies. Indeed, can we even speak of a single Christology of Chalcedon? It seems to me that there has been development on both sides. This seems to be suggesting that later ecumenical councils actually are for the purpose of correcting the orthodoxy of earlier ones. That’s not their self-understanding at all, though, especially since they all begin their decrees with “Following the Holy Fathers…” and give ringing endorsements of the earlier councils. So, no, I do not think that it could be said in any sense that the Chalcedonian Orthodox see the Council of Chalcedon as anything less than fully Orthodox. We even have feast days dedicated to it. I’ll accept that understanding, Father, but can you then explain the import and significance of the Christological discussion at Constantinople II? It’s the same as all of the ecumenical councils — to express anew the same faith of the Apostles and Fathers in a way that addresses the heresies that arise. We must also remember that the Fathers who rejected Chalcedon explicitly saw themselves as preserving the correct understanding of St. Cyril’s Christology. Dr. Marinides, I don’t agree with that understanding for the following reasons. First, the acta of Chalcedon itself shows St. Dioscorus, not as an oppressor, but as one who willingly responded with simple facts against those who were being encouraged to accuse him. Indeed, I used to believe the Pro-Chalcedonian assessment myself until I read the minutes of Chalcedon and was struck by how deferential he was. There were times when the Egyptian bishops around him were loud and boisterous, but we do not see any madness from him. Second, even if I accept that St. Dioscorus was heavy-handed at Ephesus II, what was the reason? As we see from the quote above — which is representative of his leadership of this council — he was zealous for the Faith of the Fathers as expressed at Nicæa and Ephesus. Compare his zeal with that of Leo of Rome. St. Dioscorus wanted to preserve the Faith whereas Leo wanted to assert himself on the level of St. Cyril and his authority over the Church. This is, of course, something that the Pro-Chalcedonians in the East would finally reject in the Great Schism, but at the time of Chalcedon, it seems to me that many Pro-Chalcedonians were just as much papists as those they accuse today. The totality of the personal letters and minutes of these councils show that Leo had other motivations whereas St. Dioscorus wanted to preserve the Alexandrine understanding of the Faith and St. Cyril’s theology. What exactly did Leo want? Above all, he wanted to assert the primacy of the Roman papacy over the whole Church. This is why he took offense when Theodosius called for Ephesus II to resolve the question of Eutyches. He believed his Tome was enough to be authoritative over the whole Church irrespective of the Alexandrine tradition of which he was ignorant. In his letter to Theodosius, he clearly asserted his supposed authority saying that, “from the beginning,” the Roman popes presided over all the councils of the Church to maintain truth. This, of course, is historical fantasy. In his letter to Theodore of Cyr, he even gave himself the appellation of being the “head” of Pope Dioscorus. As for St. Dioscorus, I don’t think the record shows such personal motivations on his part, except perhaps the desire to be faithful to St. Cyril’s Christology in the Alexandrine interpretation. We should see him in a more charitable light as a result. Finally, if you would like to speak about heavy-handedness, you should not leave out the atrocities committed by the Pro-Chalcedonians against the Non-Chalcedonians in the aftermath of that tragic council. If Chalcedon was truly the faith of the Orthodox Church, it shouldn’t have required swords and violence to shove it down the throats of those who wished to remain faithful to St. Cyril’s Christology. One of the senses I’m getting from OO participants in the various discussions happening on this is that it’s expected that EO would basically repudiate Chalcedon. I’ve not yet seen a suggestion from any OO writer that Chalcedon can be interpreted in a way that fits with the OO understanding of Christology. If there’s no way that the OO can say “Chalcedon is Orthodox,” then there’s not much of anywhere for dialogue to go. I do hope it’s understood that that pretty much precludes any possibility for union. The EO aren’t going to drop Chalcedon or even demote it. Interesting observation, Fr. Andrew. I’m not aware of any OO calls for the full repudiation of Chalcedon, but at the very least, the EO should acknowledge the various problems with Chalcedon at many levels. If the EO came out and said, “Look, there were things that happened at Chalcedon that perhaps should not have happened, but there is a common Christology here. Let’s sit down in a spirit of prayer and reconciliation to compare both sides against St. Cyril, which we both acknowledge as the foundation here,” I expect a response that is quite warm and loving from the OO. With respect to that council, I note you haven’t had a chance to answer my query above regarding its Christology. It seems to me that Chalcedon itself was repudiated, at least in part, by that council in the sense that Constantinople II finally declared Theodoret of Cyr and Ibas of Edessa as heretics. These things need an honest reexamination and assessment from all Pro-Chalcedonian and EO believers. We confessed that we believe, protect and preach to the holy churches that confession of faith which was set out at greater length by the 318 holy fathers who met in council at Nicaea and handed down the holy doctrine or creed. The 150 who met in council at Constantinople also set out the same faith and made a confession of it and explained it. The 200 holy fathers who met in the first council of Ephesus agreed to the same faith. We follow also the definitions of the 630 who met in council at Chalcedon, regarding the same faith which they both followed and preached. We confessed that we held to be condemned and anathematized all those who had been previously condemned and anathematized by the catholic church and by the aforesaid four councils. Now that we have given the details of what our council has achieved, we repeat our formal confession that we accept the four holy synods, that is, of Nicaea, of Constantinople, the first of Ephesus, and of Chalcedon. Our teaching is and has been all that they have defined concerning the one faith. We consider those who do not respect these things as foreign to the catholic church. Since the supporters of the heretics Theodore and Nestorius were conspiring to strengthen in another way the case of these men and their heresy, and were alleging that this heretical letter, which approves and defends Theodore and Nestorius, had been accepted by the holy council of Chalcedon, it was therefore necessary for us to demonstrate that that holy synod was unaffected by the heresy which is present in that letter, and that clearly those who make such allegations are doing so not with the assistance of the holy council but so as to give some support to their own heresy by associating it with the name of Chalcedon. This being the state of affairs, how could anyone be so bold as to allege that that heretical letter was accepted by the holy council of Chalcedon or that the holy council of Chalcedon agreed with it in its entirety? So as to prevent those who misrepresent the holy council of Chalcedon in this way from having any further opportunity to do so we instructed that there should be a formal reading of the official pronouncements of the holy synods, namely the first of Ephesus and that of Chalcedon, on the subject of the letters of Cyril of holy memory and of Leo of blessed memory, formerly pope of older Rome. We gathered from these authorities that nothing which has been written by anyone ought to be accepted unless it has been shown conclusively that it is in accord with the true faith of the holy fathers. Therefore we broke off from our deliberations so as to reiterate in a formal declaration the definition of faith which was promulgated by the holy council of Chalcedon. We compared what was written in the letter with this official statement. When this comparison was made, it was quite apparent that the contents of the letter were quite contradictory to those of the definition of faith. We anathematize the supporters of these works and those who write or have written in defence of them, or who are bold enough to claim that they are orthodox, or who have defended or tried to defend their heresy in the names of holy fathers or of the holy council of Chalcedon. Subsequent ecumenical councils affirm earlier ones. They don’t correct them. Read the text here. Do a word search for “Chalcedon,” and you’ll see it repeated again and again that the heretics being rejected are falsely associated with Chalcedon and that Chalcedon is upheld — venerated, even. That the Christology of Chalcedon was itself repudiated, at least in part, by Constantinople II, may also be seen in the case of the letter of Ibas, whom Constantinople II condemned as a heretic. That council stated that Ibas’ letter was full of the blasphemies of Theodore and Nestorius; it was a document that even accused the Holy Fathers of heresy. St. Dioscorus and the Second Council at Ephesus in 449 (Ephesus II) unequivocally condemned Ibas as a heretic on account of this letter. But what happened at Chalcedon? The Roman legates sent by Leo examined the record of Ephesus II and declared Ibas to be Orthodox! Curiously, the minutes of the Constantinople state that this declaration was made because the letter of Ibas was not even read at Chalcedon. Huh? The minutes of Ephesus II discussed Ibas’ heresy and his letter, so the bishops at Chalcedon decide not to admit the letter and declare Ibas as Orthodox? To the extent that Constantinople II was convened to fix these errors, we must admit that (1) Chalcedon itself is not infallible; (2) the Christology of Chalcedon was modified in the declaration of these men as heretics, because they were admitted as Orthodox by Chalcedon; and (3) obviously, Chalcedon was replete with personal motivations that have no place in Christian dialogue. I think the Pro-Chalcedonians and EO need to own up to these facts, which can readily be studied in an objective way. Try as they may, I don’t see any possible rationale for welcoming Theodoret and Ibas as Orthodox in 451 (even after they were condemned as heretics in 449) only to later say, “No, never mind, they are heretics” in 553. Actually reading the texts of the councils in question yields a rather different narrative. I quoted in another comment here multiple pieces from Constantinople II which quite explicitly say that the heretics in question were only ever falsely associated with Chalcedon. In any event, the Orthodox aren’t going to repudiate Chalcedon. That’s simply a non-starter. And if the approach we are supposed to take is the one here — namely, essentially undermining what is for us ecumenical Orthodox tradition — then that’s even more of a non-starter. Now you would have us repudiate not only Chalcedon but all subsequent ecumenical councils, as well. To us, arguing for that is as futile as arguing in favor of papal supremacy. We’re just not going to buy it. I think you should read the Acts of Chalcedon, because it complete contradicts your assessment of Constantinople II. It is not, as you (and probably many other EO) understand, that Constantinople II simply clarified that Theodoret and Ibas were heretics who had nothing to do with Chalcedon. They were positively and clearly rehabilitated at Chalcedon after they were condemned by St. Dioscorus and the Fathers at Ephesus II. This is the same Ibas of Edessa that the Pro-Chalcedonians declared a heretic at Constantinople II in 553. It is, therefore, not as you say, that Constantinople II upheld an anathema against Ibas that had already been in place at Chalcedon. If you look at the following paragraphs in the Acts, you will find the signatures of many, many fathers at Chalcedon, including the notable instigators, Eusebius of Dorylaeum and Stephen of Ephesus. This is the objective evidence. Please stop interpreting it to say something completely different. So I’m supposed to believe your assessment and not the assessment of what is for me the Fifth Ecumenical Council? As for your point, Father, that the EO are not going to repudiate Chalcedon, with all love and respect, you are free to do as you wish. The objective evidence, however, requires a reexamination of all these points, which even your Emperor Justinian admitted was in order. Please don’t think that, by these discussions, we are asking you to do anything, as though we need the Eastern Orthodox’s approval to be called Orthodox. Our Non-Chalcedonian Faith is Orthodox because it is objectively true to the Faith of the Holy Fathers, and our children have died as martyrs in every age to preserve that Faith. Thanks for this clarification. In short, you do indeed believe that we are heretics. Is that a serious question? The quotes I shared with you are not from a raging OO supremacist group. They are from the official minutes of the Council of Chalcedon from the Greek text published in Eduard Schwartz, ACO II.1 (1933–5). These are the official words of YOUR council. You should read them. Yes, it is. Please explain to me why I ought to believe someone I do not know who is commenting on a blog post over the universal tradition of my own Church. Also, if you’re not going to assume good faith, your comments won’t be published. I never asked you to believe me personally, but I have quoted factual, objective sources so that you can engage in your own study. It surprises me that you wouldn’t immediately acknowledge the value of the actual transcripts of a council that you uphold as a standard of faith. No Eastern Orthodox scholar has attacked the Acts of Chalcedon as erroneous. In fact, Eastern Orthodox scholars have repeatedly quoted from the same Acts to make their arguments. Here, we have you sharing with me your (or perhaps the EO) interpretation of Constantinople II, which is that Theodoret and Ibas were heretics who had nothing to do with Chalcedon, but the historical, factual evidence shows otherwise. We have letters of Leo concerning the rehabilitation of Theodoret. We have the actual, official Acts of Chalcedon that show, in no uncertain terms, that Ibas was rehabilitated and declared “Orthodox” by the bishops at Chalcedon and that this decision was entered into the official record of the council. These are not sources that can be disputed, nor do they reflect my own interpretation. You are free to read them for yourself and compare them to the decisions of Constantinople II. So, in this case, rather than trusting you over the Fifth Ecumenical Council, I’m supposed to (at your word) trust myself over the Fifth Ecumenical Council? If your interpretation that Constantinople II is basically lying about Chalcedon is actually true, and if what you say is true about the texts you mention, then why hasn’t my Church repudiated Constantinople II? That would seem to be a pretty big falsification, seeing how it gets repeated multiple times in the text. Or is the contention that none of the EO have ever bothered reading any of this stuff, and if only we would read it, we’d see the light and become the Church of the Three Ecumenical Councils post haste? All that said, it seems pretty clear to me that “evaluated and discussed” with regard to Chalcedon here amounts to “repudiated.” Is there some other end game you have in mind? Father, you are welcome to show me, in this matter, where I am giving my own interpretation. The rehabilitation of Ibas of Edessa at Chalcedon is an historical fact that can’t simply be ignored. As Orthodox, we value our Holy Tradition and the proclamations of the Councils, but at the same time, we cannot turn a blind eye to something as obvious as the rising of the sun. Consider the following quotations from academia concerning this matter. While we certainly don’t agree with the designation of “Monophysites,” this passage makes it rather clear, along with the Acts of Chalcedon and everything else posted, that Chalcedon rehabilitated Theodoret and Ibas before they were judged heretics in Constantinople II. Perhaps we’re splitting hairs here? When you say that Constantinople II adjudged the writings of Theodoret and Ibas to be heretical and not the men themselves, are you saying that they are not considered heretics by the EO? Moreover, I don’t follow your line of thought regarding Ephesus II. This council was summoned by the Emperor and attended by delegates from around the Christian world (including Rome) to address the perceived heresy of Eutyches. It was primarily Leo of Rome who attacked it as non-canonical, because it did not give his own Tome the weight that he himself thought it deserved. Do we judge the canonicity of a council by such things? Ironically, St. Dioscorus pushed for the reading of the Tome at least twice at Ephesus II, but other things got in the way. When accused of withholding the Tome at Chalcedon, he honestly responded that he tried to introduce it, but as we see from the Acts of Chalcedon, no one paid any heed and went on with their judgment against him anyway. Finally, the case of the documents of Theodoret and Ibas are not as simple as one would make out. Correct me if I am wrong, but a certain letter of Theodoret was affirmatively received by Chalcedon in considering the Christological definition that emerged. Is this not the case? Was not the content of Ibas’ Letter to Mari positively studied and declared Orthodox at the motion of the Roman legates? It is not that the letters were passively read at Chalcedon; it is that they were studied and admitted, along with their heretical writers, just for the sake of undoing the sound condemnation of St. Dioscorus and Ephesus II, because Leo was personally affronted by the whole thing. Constantinople II was right to fix this issue, but by then, a hundred years later, the damage was done. It should have never happened in the first place, and if such things had been left out and St. Dioscorus treated fairly, then perhaps there could have been a fruitful discussion about the “in two language” natures, which was the Alexandrian’s real objection. Even now, we are willing to discuss that point, but it’s somewhat difficult when we see EO approach Chalcedon as though it is untainted and perfect. The Orthodox Church does not consider Theodoret and Ibas to be condemned heretics in the way that, say, it considers Arius or Eutyches. A body of Theodoret’s works attacking the Cyril was condemned at Constantinople II, but the rest of his works were not condemned. Cyril himself didn’t even demand anything like that. As regard the status of the Letter to Mari at Chalcedon, it was indeed read during the council’s proceedings, but the council itself wasn’t ruling on the text of the Letter, only on the status of Ibas himself as a bishop. That is to say, while the decision to reinstate Ibas might imply approval of the letter, it was not in fact given synodal approval as such and, as history bore out, its status was open to later discussion. Constantinople II’s decision to rule on which writings by Theodoret and Ibas were out of bounds but not to condemn the person of either is fully consonant with how Chalcedon handled things. the reinstatement of Theodoret and Ibas at the eighth and tenth sessions of the council was indeed justified by the uncanonical character of their deposition at the Second Council of Ephesus of 449. But it was certainly not intended as an expression of approval for their theological teaching, which went against the pro-Cyrillian loyalties of the vast majority of the council fathers, loyalties that were expressed in the wording of the Chalcedonian Definition as well as in the lack of enthusiasm with which the bishops received Theodoret and Ibas back into the fold. It is true that the condemnations of 553 reflected developments subsequent to Chalcedon: it was the acceptance of Cyril’s Twelve Chapters as a normative document that led to the anathematization of the writings of Theodoret and Ibas attacking those chapters. But the Acts of Chalcedon make clear how unacceptable were these writings already in 451. The condemnation of the Three Chapters in 553 was not therefore an undermining of the work of Chalcedon, as the (largely western) defenders of the Chapters claimed: it was rather the clarification of the doctrinal work of Chalcedon by correcting a major source of ambiguity. It’s important to remember that the Council of 553 didn’t condemn the persons of Theodoret and Ibas (as it did with Theodore of Mopsuestia), but only Theodoret’s writings against Cyril and Ibas’ Letter to Mari. Whence came this failure to distinguish adequately between conciliar decrees and conciliar debates? The explanation lies in the likening of conciliar acts to the books of Holy Scripture: as Ferrandus wrote in the same letter, ‘General councils, particularly those that have gained the assent of the Roman church, hold a place of authority second only to the canonical books.’ Of course not everything in conciliar acts was accorded equal weight, and they manifestly contained utterances by heretics, such as Nestorius and Eutyches; but not everything in Scripture was of equal weight, and Scripture likewise contained utterances by the ungodly, such as Pharaoh of Egypt and King Herod. This treatment of conciliar acts as akin to canonical Scripture greatly complicated the sixth-century debate. Please check out the minutes of Chalcedon by Fr. Richard Price. What you are basing your narrative on is just the printed official documents, but how they got there is documented in detail in Latin, Greek, and Syriac, now available in English. This explains that Chalcedon is not as straightforward as you think it would be. I’m not claiming anything to be straightforward! 🙂 But I certainly can read what Constantinople II is saying about itself, and I also know how Orthodox tradition has received and interpreted those councils, which is something that goes far beyond what you mention. In any event, it’s become pretty clear to me that what’s wanted, at least by some in the OO communion, is that the EO basically dismantle their tradition of the last four ecumenical councils. If that’s really what’s wanted, I do wish someone would come out and say it. I was actually much more optimistic about the possibilities for unity before this exchange. Now, assuming that the story I’m getting from the OO side is really the prevailing view, the message I’m getting is that it’s actually not possible for you to see our Christology as Orthodox. That is, you actually do see us as heretics who simply must repent. I’m okay with that, of course — you wouldn’t be the only ones who see us that way. 🙂 But it certainly does place ecumenical engagement in a very different context. Again, neither I nor anyone I know asked for a full repudiation of Chalcedon, but at the very least, you should consider all of these grievances and approach rapprochement differently from your end. I personally have a problem with EO speaking about Chalcedon as an almost perfect council in which Orthodoxy triumphed over heresy. As I and many other have shown in the comments to Dr. Marinides’ post, this is not the case at all. Chalcedon is replete with problems and grievances. If the Orthodox are going to be in one communion, then these issues should evaluated. Again, I am not here saying repudiated, but at least evaluated and discussed. No more sweeping this under the rug as though it didn’t happen. The factual evidence is clear that it did happen and that is greatly contributed to our painful separation from one another. I am all for renewing our focus on common Christology and moving forward, but at the same, let’s be honest about what really happened at Chalcedon. I don’t think anyone here is saying that we don’t see your Chirstology as orthodox. I think the point that some of us are trying to raise is that Chalcedon indeed contained many events that we would object to in good conscious (Such as Ibas and his letter accepted as Orthodox at the council). All we would ask for is that these objections be looked at with more scrutiny. Its pretty clear that we no longer live in the 5th and 6th century, there indeed has been much development, and maybe even refinement and interpretations on both sides in manner of Christology, which has brought us much closer together. I do not think that anyone here is saying that you should drop your councils or your interpretations of them. I personally accept the EO interpretation of all 7 councils and see much orthodoxy in them. I certainly don’t have to agree on every certain point and especially the anathemas on Sts. Dioscorus and Severus, but I think we can agree to the faith. All we ask for is that certain historical and political events not be required of us to accept in order for communion to be restored. I’ve engaged in individuals who have asked me to accept all 7 councils, “spit on Dioscorus and Severus”, and to confess “Christ in two natures”, exactly the same way that the EO confess Him or else I am a heretic. This to me doesn’t seem like a union but rather one side triumphing over the other. It says to me: “Aha see, you guys were wrong all long for 1,500 years.” This isn’t the basis for reunion in my humble opinion. Its a shame that even after 1,500 years, we aren’t fighting as much about the faith as we are about a council, its interpretations, and the interpretations of the teaching of St. Cyril. May God have mercy on all of us! I don’t think anyone here is saying that we don’t see your Chirstology as orthodox. But if you reject the Definition of Chalcedon, then you are rejecting the orthodoxy of our Christology. One can’t really have it both ways. Additionally, I would recommend reading the minutes simply because the minutes and corroborate this with Constantinople 553. I would plead that you can agree with the fifth council’s conclusion, but also appreciate it with the substance of the minutes of the fourth council itself. I am not telling you to reject or repudiate Chalcedon. I say continue to venerate it, but don’t expect that this is a necessary precondition to prove our Orthodoxy. We have already proved time and again our tradition teaches the full integrity of humanity and the full integrity of divinity, where both neither loses their full integrity in the union, even when we call that “one nature”. Our focus is not terminological, but soteriological, where Christ always uses both His humanity and divinity in every action He engages in. He does not choose to use one and not the other, but both at all times. We can differentiate by contemplation the nature of the actions done. For instance, He hungered, and that is human. But by His hunger, He deifies our hunger and fills us with His fullness. That is divine. In one action, He shows both a human action that through it may be the manner in which we partake of His divinity. That is why we also stick to “one nature”, because we do not partake merely of humanity, but of a life-giving humanity, the one nature, humanity and divinity. This is the main focus of our Christology. It is not solely a strict terminological adherence that our Church was focused on, but what this terminology was associated with. If one simply separates out the actions of our Lord, as if the divine does something separately from the human in an external conjunction, then this meaning of “two natures” we reject (Fr. Florovksy calls this “symmetric”). This is the “two natures” our fathers rejected. It is however clear NOW it is not the “two natures” you believe. And the Joint Commissions also found out that the “one nature” you rejected is not the “one nature” we believe. I ask you though Father, if in fact the post-Chalcedonian councils were wrong about the beliefs of our fathers, would you consider agreeing with those of your Church in lifting those anathemas? I think Dr. Sam Noble does offer the solution, which is another council to address these issues in depth. We are a conciliar Church, and we pray the Holy Spirit can guide us in the correct manner in this. Unless you do not trust we are telling you the truth, I don’t see how one can conceive any hope in unity any other way. I share Fr. Moses’ frustration here. It seems to me you continue to say “I’d rather believe Constantinople 553’s interpretation of Chalcedon than what your so-called proof from the minutes”. That is in fact not what I’m saying. I’m actually inviting Fr. Moses to help me trust what he’s saying, especially in the face of 15 centuries of tradition saying something else. I asked him why, and the question was genuine. My question regarding how the OO view Chalcedon is that if you reject something so dear to us, how can you actually believe that we are Orthodox? It seems to me that you are by definition saying that we are not. So it feels disingenuous to me. I ask you though Father, if in fact the post-Chalcedonian councils were wrong about the beliefs of our fathers, would you consider agreeing with those of your Church in lifting those anathemas? Ah, but this seems to me to be something of a goal-post shifting. In the rejection that I am reading here of our councils (Fr. Moses would have me believe that the Fathers of those councils were not only mistaken but actually liars and falsifiers), it is not so much the question of what those councils said about your theologians that concerns me but the wholesale rejection of those councils and their spiritual authority itself. I am being told that our Fathers are in fact heretics (their doctrinal definitions are rejected), liars (they are falsifying what happened at previous councils), innovators (they are “correcting” previous councils), and so on. That is something quite different merely from saying that they got wrong what Severus et al were teaching. That is a wholesale rejection of their place in our tradition. Indeed, it is actually a wholesale rejection of our tradition. No, of course you are not obligated to prove your Orthodoxy to us, especially not if you have no desire to share the chalice with us. But if you have that desire, then demonstrating the Orthodoxy of your faith is indeed nothing other than what we expect of our own bishops who have to give an Orthodox profession of faith before their consecration. Yet I feel that this has now gone well beyond merely defending your own tradition to a full-scale attack on ours. That to me says that there actually is no desire to share the chalice with us, because surely no one can expect that such an approach will suddenly inspire 250m Orthodox Christians to declare themselves heretics and fall down and beg for your mercy. I believe then we are both misunderstanding each other’s motives here Father. I defer to my response to Dr. Nicholas to see if it better clarifies our purpose here. I have consistently provided unbiased, objective resources for you to trust, such as the official acts of Chalcedon itself. It doesn’t get more objective than that. The EO may have 15 centuries of tradition saying something else, which is undoubtedly inculcated into believers’ minds every year on the Sunday of Orthodoxy in you anathematize people based on Chalcedon, but you have to admit, even as an EO presbyter, that there is room for the idea that Chalcedon is not the ivory tower it’s been made out to be. After all, how could it be infallible if, as you mentioned above, it had to be reiterated and confirmed by Constantinople II? It’s one thing, for example, when the Holy Fathers at Constantinople in 381 ratified Nicæa followed by the Holy Fathers at Ephesus ratifying Nicæa, as well, but it’s a completely different thing for the Emperor Justinian to call for Constantinople II for the primary purpose of ratifying Chalcedon. Logically and historically, there is something odd here. That being said, I again repeat (for the fourth time) that I am not aware of anyone in the Oriental Orthodox communion calling for a full rejection of Chalcedon. Perhaps there is a Christological framework between Ephesus I, the Formulary of Reunion, Ephesus II, Chalcedon, and Constantinople II within which we can work to finally define the one Orthodox Christology that I am sure we share, but the point that I have been making thus far is that we need to be sober about Chalcedon for what it is: a tragedy that split the Church, as its own official acts and surrounding history make very clear. Eastern Orthodox believers have been taught to venerate it as a triumph of Orthodoxy, which is the spirit in which Dr. Marinides’ original piece was written, but I invite every able EO and OO believer to engage in factual, objective research in order to understand it fully. Our Orthodox Faith and veneration of Holy Tradition is not opposed to earnest, prayerful study. We don’t have to ignore simple history and fact just because we are Orthodox. We are the people of the Logos Who Himself is the beauty and rationality of all things. He made us in His Image and according to His Likeness so that we could use our faculties to come to a more perfect knowledge of Him. Let’s use those faculties in a loving, prayerful manner that has unity as its goal. Forgive me if I have offended in this discussion. Is this the part of the thread that’s live about Chalcedon, Theodoret, etc? 553 did not condemn Theodoret or Ibas. It condemned certain writings by them. I can hardly understand someone making a big deal out Chalcedon accepting Theodoret if they consider ecumenical a council that broke all canonical order to rehabilitate Eutyches. And it is… merely expressed differently, as St. Cyril understood and accepted when dyophysites expressed the Hypostatic Union. St. Leo even persuaded St. John Cassian to come out of seclusion to write On the Incarnation against Nestorius wherein he’s explicitly addressed as “heretic”. Frs. Romanides and McGuckin have suggested in print that Chalcedon ought to be re-assessed since it’s thoroughly Cyrillian; both the West and the Miaphysites have missed this. This whole Theodoret and Ibas thing seems to be the Miaphysite GOTCHA! Noble already demonstrated that Price had more to say which puts Theodoret and Ibas’ exoneration in a better context. St. Cyril pleaded for St. Proclus NOT to anathematize Thedore of Mopsuestia because it would raise more trouble and schisms throughout the East. Perhaps the same motivation was at work, they had to anathematize Nestorius. Theodoret also signed the document that declared that the Tome was in agreement with the Twelve Chapters. …the Council of Chalcedon upheld the excommunication of Theodoret by the Ephesine Council of 449. Therefore, Dioscoros was legally and canonically correct by excommunicating Leo for his support of Theodoret before the Council of Chalcedon. Ephesus 449 was still before the Council of Chalcedon a part of Roman Law in spite Leo of Rome. From a purely doctrinal viewpoint the Pope of Rome was guilty of supporting a Nestorian and a vigorous enemy of the Twelve Chapters, which were the basis of the doctrinal decision of the Third Ecumenical Council. John of Antioch and his own Third Ecumenical Council of 431 had condemned and excommunicated the Cyrilian Third Ecumenical Council because its doctrinal decisions were summarized in Cyril’s Twelve Chapters. But then in 433 John and his bishops accepted the Third Ecumenical Council with the Twelve Chapters and condemned Nestorius. Therefore before the Council of Chalcedon in 451 Theodoret was under condemnation by the Roman Laws of both Ephesus 431 and 449. Ephesus 449 was not yet in the process of being repealed or accepted as was finally done item by item. Thus Chalcedon did not repeal the condemnations of Theodoret and Ibas by Ephesus 449. On the contrary Chalcedon enforced these decisions against both and required that both must repent for their actions against Cyril and the Third Ecumenical Council, accept Ephesus 431 and their own condemnation by Ephesus 449, and to ask forgiveness. In other words Chalcedon completely supported Dioscoros on these questions. However, Chalcedon would have required that Dioscoros explain his actions in regard to Leo’s excommunication and may have either accepted or rejected the action or else at least appreciated a good reasoning behind them. We will never know since Dioscoros refused to argue his case against Leo and Theodoret before the Council. Had he done so he may have come out on top, especially since most of the bishops were Cyrilians. However, Dioscoros could not be exonerated from his condemnations of Flavian of Constantinople New Rome and Eusebius of Dorylaeum for not accepting in Christ ” from two natures one nature” which was the ” Orthodox” tradition of Alexandria, but not that of all the Churches as Cyril himself explained in his letters to his friends when explaining that by speaking of two natures in Christ one may distinguish them in thought alone. In any case both Flavian and Eusebius were finally justified in their actions against Eutyches by Dioscoros, his bishops and all Oriental Orthodox. …At this conference the Severians supported that Eutyches was indeed a heretic and that Dioscoros accepted him as one repentant and finally confessing the faith that Christ is consustantial with his mother. They seemed not troubled that Eutyches had denied that Christ is cobsubstantial with us. They defended Dioscoros’ action against Flavian and Eusebius because they contradicted themselves when saying ” One nature of the Logos Incarnate” and at the same time insisting on ” two natures after or in their union.” Hypatius, the spokesman for the Chalcedonians, was exasperated at the logic of the Orientals by which they justified Dioscoros’ defense of the supposedly penitent Eutyches, but refused to accept the Orthodoxy of Flavian and Eusebius. The conference deteriorated into a fundamentalistic debate about which tradition had the correct terminology, a sanctified tradition of debate which reached right up to Aarhus 1964. The Severians insisted that ” from two natures” was only correct and that ” in two natures” is only wrong. The Chalcedonian side claimed that both are correct. But the main cause why misunderstandings could never be resolved was the fact that neither side of this meeting had ever read and studied the minutes of Chalcedon. The Severians accused Chalcedon of not accepting Cyril’s letter to Nestorius with the Twelve Chapters. Hypatius answered that Chalcedon had accepted it as part of the Third Ecumenical Council. But the reason why Chalcedon supposedly did not use this letter was because Cyril speaks of two hypostases especially in Chapter 3. In other words oral traditions about Chalcedon had begun replacing the minutes of the Council on both sides so that arguments began to be formulated on the basis of heresy. This opened the way to the position that the Tome of Leo had supposedly become the standard of Chalcedonian Orthodoxy. This was followed by the position that the Fifth Ecumenical Council returned to Cyril’s Twelve Chapters in order to please the Non-Chalcedonians. Having studied at Yale University under specialist in the History of Dogma, one may appreciate the shock this writer had, while preparing for Aarhus 1964, when he saw in the minute’s of Chalcedon the debate about whether the Tome or Leo agrees with the Twelve Chapters of Cyril. Hypatius’ claim that Chalcedon supposedly avoided the use of Cyril’s Twelve Chapters because it uses hypostasis as synonymous with physis, obliges one to realize that Chalcedon did no such thing, since Cyril became the judge of Leo’s Orthodoxy. So Chalcedon both accepted the Alexandrian tradition of terms, but also that of Rome, Cappadocia and Antioch. It is important that every effort should be made to get rid of the historians of doctrinal history being caused by the so-called Neo Chalcedonianism of the Fifth Ecumenical Council. Fr. Romanides disagrees with Fr. Moses, and he certainly studied the minutes. There was never a Council where everything was neat and tidy, real people were involved. I’ve even seen the supposed inventory lists of luxurious items that St. Cyril sent the imperial powers-that-be in order to sway them against Nestorius, the archbishop of the city imperial seat. I don’t see how one could get from this that he believes “that the human nature is not hypostatic, but the only the divinity is hypostatic.” He refutes the charge of Nestorianism by noting that St. Leontius “considered this phrase [incarnate] to refer to nature, and not to subsistence.” That does *not* mean that he thought the humanity of Christ therefore has no subsistence (hypostasis) but that it is enypostatized in the one subsistence of the Logos. To pick one or the other nature as being hypostatic would be an incomplete Christology, just as to say that there must be two hypostases for each to be hypostatic is Nestorian. Rather, they united through the incarnation in hypostatic union. It seems more plausible to read him as meaning: “one [divine] nature [physis/ousia] of God the Logos [the subsistence/hypostasis] incarnate [united with human nature/physis/ousia].” To swap out “nature” (physis) in the phrase for “hypostasis” would thus actually confuse the meaning he seems at pains to preserve. I’d be open to other readings based on what St. John of Damascus actually said above or elsewhere (instead of only what others say about what he said), but that seems like the clearest reading to me. Thanks Dylan, your reading seems to make sense, and also to make St John’s interpretation more profound than it would be in my suggested reading. I’ll have to look into it further. The Chalcedonian side has at least since the time of Justinian expressed in what way Cyril’s language (originally that of an anonymous Apollinarian, we should remember) should be understood in order for it to be in line with Chalcedonian Orthodoxy and such an explanation was given conciliar authority in Canon 8 of the Fifth Ecumenical Council in 553. If non-Chalcedonians are unable to give an explanation of how Chalcedon’s language can be understood as orthodox according to their Christology, then I simply don’t see how it could possible to assert that the two sides share the same doctrine, just different language. Between that diversity and the reluctance to venture an articulation of how non-Chalcedonian orthodoxy can be expressed in Chalcedonian language, I remain with an uneasy feeling that the non-Chalcedonian position is more about an insistence on a verbal formula than on a theological model. 1) Commune with the Orthodox Church. 2) Root out any Monophysites and theosis-deniers in their midst. 3) Become closer to other Miaphysite churches. And there are definitely various Miaphysitisms, for instance, on an Armenian Church website, they state that Severos of Antioch was anathematized in the 8th cent. Here are my comments on the initial article. I think it was worth posting to further our discussion on the important issue of reunion and dialogue with the OOs. Thank you for this! I sympathize with the criticism that you should quote Severus when criticizing him, and that can be said for other OOs whom you consider Monophysite. At the same time, since St. John Damascene considered the OOs Monophysite, while I may personally question this designation, I have to recognize that it has a place among EOs and that your line of commentary on OOs should be heard and discussed respectfully among EOs. This reflects the importance of your posting. One of Deacon Kuraev’s criticisms is that the Joint Commission has agreed that Christ is in two natures “in theory only”, and that they are distinguished only in the human mind. “Let us once more take the example of an ordinary man. We recognise two natures in him; for there is one nature of the soul and another of the body, but we divide them only at a theoretical level”. So Cyril is in fact objecting that Christ is only divided in theory. Chalcedon’s formula itself says that Christ’s natures are united “indivisibly”. Dcn. Kuraev’s point is that Christ is not just in two natures theoretically, he is actually in two natures. The word “nature” means something synonymous with essence, or else it means categories (as the word is used in James’ Epistle in the Bible) or collections of properties (per the Dictionary). Christ is not just theoretically in the categories of God and of man, he is actually in both categories. He actually has both essences. Does this mean that the dialogue is fruitless or not beneficial overall? I don’t think so. Even having OOs agree that Christ is theoretically in two natures goes a long way because it means that the expression used in Chalcedon is not necessarily wrong. It shows that these kinds of discussions can lead to greater agreement than before. Deacon Kuraev in a video lecture noted that OOs do not consider themselves Monophysites and that he meets Armenian seminarians who say “No, no, we fully agree with what you say; we recognize that there are actually two natures in Christ. Therefore there are serious discussions. There really is a perspective and potential for our reunion…. This discussion should be lead by very knowledgeable people.” He concludes with hope for EOs’ discussions with those OOs who are also ecumenical and show an openness to this teaching. Kuraev’s discussion is an example of someone in the non-anglo “Old World” on one hand having criticisms of joint commission work, but on the other hand finding it an important direction with potential. Dear Hal, a friend had brought Kuraev’s work to my attention recently but which I can’t access because of my regrettable lack of Russian. So of course I was eager to consult your paraphrase. However it seems to be accessible only if one logs in to orthodoxchristianity.net, of which I am not a member — would it be possible for you to post your text here, or in a Google Doc which you could then link via a post here, as Mina did with his lengthy response to my original post? Or just send it to me individually, using the contact info on my academia page linked in my author blurb. In any case, recently I have been considering arranging the publication of a volume of translations of various contributions on this topic by non-anglophone Chalcedonian Orthodox authors, e.g. Russian by Kuraev (and by Basil Lourié), some of the Greek material I have consulted, and the French articles by Larchet, so that the “media blackout” to which I referred is somewhat eased. “The imperial commission of eighteen commanded by the emperor to draw up a conciliar draft statement, was instructed to affirm the enduring identity of the ‘two natures’. The bishops would accept this, however, only on the basis of the strictest qualifications and safeguards (such as those agreed by Cyril himself in the Succensus letters). The adverbs of Cyril they had in mind were that the two natures endured in the one Christ: unchangeably (atreptos), undividedly (ameristos), and unconfusedly(asynchtos)…in fact, Leo’s attribution of separate actions to natures had been decidedly dropped, and his terms only inserted as one key sentence: the phrase ‘the property of each nature being preserved and concurring in one prosopon’. He thought each saying was necessary to ward off the various christological heresies. As Oriental Orthodox, I feel strange about all the attacks against Chalcedon. It simply does not do well for dialogue to assume we have ‘retained our orthodoxy’ and proudly attack the EO position, even demanding, in some sense that it is they who need to unite with us. For the record, I have absolutely no problem with accepting the 7 ecumenical councils of the EO. In my day to day thinking and teaching at church, I operate as though I belonged to the Eastern Orthodox tradition, minus obvious elements, which I wish we had. In fact, I think the OO has far more to gain from a union: theological, iconographic, hymnographic and educational development. These last few comment exchanges are somewhat discouraging and make one wonder if one ought rather to become Eastern Orthodox through conversion, since Union seems very far off. But you don’t feel uncomfortable about the attacks on your own tradition? I don’t, because I’ve come to find validity in many of them. My ‘tradition’ is primitive and undeveloped. The more I read about liturgical rubrics, the more I listen to EO speakers and read their books, the more I realise how off the mark we are. From what I understand (and I may understand very little), the OO do not want the EO to repudiate the Council of Chalcedon, but rather, to reassess the Council and its proceedings in light of grievances with the Council (If Chalcedon was perfect we wouldn’t be having this discussion since the wheat (EO) would have been separated from the chaff (OO), so to speak, such that any dialogue would be futile). This also means not using Chalcedon as a touchstone for Orthodoxy (e.g. the Orthodox and non-Chalcedonians) or insisting upon its acceptance to validate an Orthodox position. Why? Because it would imply, at least for me, that the Orthodox faith was somehow forged by councils, whereas councils are always meant to defend the already manifest Orthodox faith against any heresies that may arise and challenge it. After all, isn’t Holy Tradition “the deposit of faith given by Jesus Christ to the Apostles and passed on in the Church from one generation to the next without addition, alteration or subtraction”, which is “dynamic in application, yet unchanging in dogma… growing in expression, yet ever the same in essence”? The questions one has to ask are: What did Chalcedon really achieve? Did it add, subtract or in any way alter the definitions of St Cyril’s Christology, or did it simply clarify the Cyrillian formula (same essence, different expression) against any misinterpretation that could have led to heresy (e.g. Eutychianism)? Is Chalcedon essential for understanding or holding the Orthodox position? How much theological weight does a council have when viewed in isolation (Ephesus with Chalcedon vs Ephesus without Chalcedon)? Who becomes the ultimate authority and spokesperson for a particular Church in the ensuing confused theological climate after a council (it isn’t as simple as referring to Papal encyclical)? In the case of the OO, do we sift through what appear to be competing Christological theories (Philoxenus, Severus and Jacob) and ascribe the position of the most prominent and prolific writer to that of the OO Church? What would be required of the OO Church for union with the EO Church (keeping in mind the complications of being required to accept Chalcedon in order to be declared Orthodox)? These are my humble thoughts, and I’ve only commented to gain a better understanding of the situation (I do not pretend to be a theologian or scholar, just a young man interested in a very important topic). May Christ grant all those participating in this discussion the spirit of love, wisdom and humility. I don’t think there needs to be another blog post to reply to this one. I think you ask very important questions, and I will attempt to reply to them. 1. Is my approach fair? The monks did not debate with you because I imagine he sympathized with you. At first I was going to make the point that the question can be turned around, that is is it fair for me to ask of you to accept, say the councils of Ephesus 449 and 475. But I noticed you said later “i.e. their definitions, not necessarily their anathemas”. This I think is a positive step. What I am understanding in this small statement is that it is okay for us to continue to revere Ephesus 449, Ephesus 475, Dioscorus, Timothy, Severus, Philoxenus, etc. as long as I accept the definitions of the councils 4-7. The question then becomes would you do the same in return? Will you accept Ephesus 449 and 475 and the various theological statements made by our churches over time? If this is really what a “dialogue” is, perhaps the Joint Commissions went about it wrong. But my other view is this. The Oriental Orthodox Church has a diversity of conciliar traditions, and a diversity of saints and church fathers. You could for the most part put together the Coptic and Syriac traditions, as there might be more commonalities (although there was a schism during the time of Pope Damian). The Armenians seem to have a separate list unknown by our traditions, but lead to the same theological conclusions. There was a unity statement in Manzikert I believe that lead to theological unity between the Armenians and Syrians (without stipulating that they have to venerate Severus, a real sore point for them at the time). St. Cyril of Alexandria even allowed the continued veneration by the Antiochian communities of Diodore and Theodore despite his conviction they were heretics. He also believed his own uncle was justified in condemning St. John Chrysostom, even though he lifted the anathema against him for theological use against Nestorius (Fr. Anthony McGuckin discusses this). St. Cyril did not demand John of Antioch that he accept the council of Ephesus, but that a formula of reunion was enough. A theological union so to speak. What I see from the Joint Commissions is Formulas of Reunion, and using these formulas as the lens to interpret our separate traditions. This is why I think it is “fairer” to say to begin with theology, the theology as presented by the Agreed Statements of the Joint Commissions. If one expects that I should interpret Chalcedon through Constantinople 553, would it be too much to ask for the same to be done for our councils and fathers via the Agree Statements, or is this “not fair” either? I really don’t know what is fair for you, but we will only be splitting hairs if we do not get to the essence of your tradition. To say that all we need is to accept statements, not anathemas is pretty much getting really close to saying, well, what’s wrong with the statements of the Joint Commissions themselves? I believe that the fullness of the Orthodox Catholic Church lies in a parish where the Eucharist is celebrated by the bishop. You ask me what is the “one holy Catholic and Apostolic Church”, I say “the diocese of Los Angeles where a valid bishop is”. I also like to point out that the Meletian schism is also a good example of this, where both parties of no theological differences eventually united in one patriarchate even after some issues. I believe also that the fullness of this Eucharistic community is not valid without a succession, nor is it valid without the fullness of the faith (theology). If the fullness of the Orthodox faith have always existed in our succession, in our own tradition, without the need of councils of other traditions, then there is no need to separate based on this either. Unless one can engage in mutual acceptance, the principle of accepting councils by name seems to me the same thing the Pope of Rome engages in, where accepts unity with Eastern Catholics on account of accepting the authority of the Pope. Furthermore, the Church exists beyond time. Whether a schism occurs for 1500 seconds or 1500 years, time is not a factor in divine grace. It is a factor with us, that we need to take some time to heal. But time (and past persecutions) should not hinder our coming together to discover our oneness of faith. I think the theology is very clear. We OOs believe that our anti-Chalcedonian tradition clearly believed in the full integrity of humanity and full integrity of divinity of Christ, united together as one without loss of integrity of either the humanity and divinity. Fully consubstantial with us in His humanity, fully consubstantial with the Father in His divinity, hypostatically united without separation. Christ was incarnate that He may raise us up to His divine glory. Christ willed, operated, acted in all ways as God-man, not humanly separately from divine, but theandricly. He deified human actions and He incarnated divine actions. In Christ, there is a communicato idiomatum, that this may be granted upon all humanity, the sharing and partaking of His divine nature. The Church is an extension of the incarnation, for us being members of His holy and divine body, that we too may be holy and divine. I can say more, but this is the gist of what I believe, what the anti-Chalcedonian Church taught me to believe, and I will continue to venerate and honor all pre and anti-Chalcedonian fathers and councils that taught me this. When Arians wanted to use Origen to support their beliefs, St. Athanasius replied in kind by using Origen to support Nicene Christology. The end result is that Arians still believed that Christ is begotten “and made” and “like God”. The end result is different with our Church. We are continually accused (or our Church fathers are accused) that they denied the full reality of the humanity of Christ. And when a quote is presented to prove otherwise, one is still left with the idea that somehow there is still something “wrong” with our Christology. There’s a nook or cranny somewhere that proves we somehow deny the full humanity. I don’t know how much more eye-rolling I can do to prove to you were not who you think we are. Arians sought a compromise on theology. We are not compromising on theology, but we want you to see that we do uphold Orthodoxy. This is Cyril vs. John of Antioch all over again. This is not turning the clock back to Arius and Athanasius. In fact, many of us have expressed positivity towards the last three councils as well in its faith. It’s not really difficult for us to agree theologically with them. The question is how did St. Cyril understand “one nature”. My argument is basically the same as McGuckin and Van Loon. He used the analogy of the one nature of humanity made up of the two natures of soul and body. That’s clear enough. But when it comes to the Greek, I defer to these two others. Or maybe even Fr. George Dragas, who is also an expert on St. Cyril. But you made a curious statement at the end, “In any case, even if we grant for argument’s sake that the Non-Chalcedonian expressions might be correct, the terminology of the Chalcedonian tradition is clearer, more sophisticated, and more complete, and thus should serve as the criterion.” I disagree that the terminology of the Chalcedonian tradition is “clearer, more sophisticated, and more complete”. Both traditions have their own sophistications and explanations. I think the Agreed Statements of the Joint Commissions are the clearest, most sophisticated, and most complete in this day and age. It preserves the central theological focus, while acknowledged the Orthodoxy of both terminologies, something I am committed to agree with personally. I agree with you that this should not separate. I was simply offering the fact that you cannot separate the theological arguments from the political and sociological problems at the time. We both share an imperial history wrought with many problems and mutual persecutions. Not everyone in Church history was a natural “Nil Sorsky”. I think if it wasn’t for the volatile situations we had, things might have turned out very different. Maybe Constantinople 553 could have turned out to be a good thing for both our traditions. But this is the past. I do want to concentrate on theology. That is my main issue. I do have a cautious optimism in this. I have hope that the truth will come out that we cannot fault each other for heresy, not even clearly. And I do not mean to undermine the 1500 split. We are human, and we need to take time in the unity. But my plea today and for the rest of my life is that you consider that there are different interpretations, and even the different interpretations should not hinder us to reunion, so long as the faith is still the same. If our faiths were different, we would have a different discussion (if I was a Roman Catholic, I would try to defend the doctrine of Papal Infallibility to prove that your ecclesiology is “faulty” for instance; if I was a Monophysite, I would probably try to show that the humanity is faulty at best; but I have done none of that). I wanted to add this, but I thought my essay was too long. We also have always called ourselves “Orthodox”. In fact, we call ourselves “Eastern Orthodox Church”. For your Church, have called you the “Roman Orthodox Church” and the Church of Old Rome “Roman Catholic”. However, you seem to place an emphasis on “Orthodox” more than “Catholic”. If you believe you are part of the One Holy Catholic and Apostolic Orthodox Church, why do you call Rome “Catholic”. Why do you even call our tradition “Church”. I think it is silly to try to make a statement by “avoiding” a name. This is why I found your kind words condescending. Another case of nomenclature is the word “ecumenical”. It seems your tradition have adopted a definition that this means “infallible”. But we defined it as “imperial”. If the Ecumenical Patriarchate is “infallible”, then I can see your point. But you believe that only seven imperial councils are “Orthodox”. I think this needs to be addressed as well, on the issue of “ecumenical”, because as far as I see it, it does not mean “infallible” or “unquestionable authority”. Pray for me, and forgive me if I made any silly grammar mistakes, as my typing is hasty. If the majority of the bishops who gathered at Chalcedon were moderate Cyrillians then wouldn’t that mean that the Christology of the council would have that foundation? Especially when we see how St. Leo’s tomb was interpreted through the lens of saint Cyril’s writings. Thi is why the 5th council gave the narrative that it did. We don’t see Theodoret’s condemnation as damaging Chalcedon because the foundation of its Christology was mostly moderate Cyrillian. Even though Rome got her way in some things her Christology was never the foundation of Chalcedon. Nor was the Christology of her friends in the Antiochian school. Rome did not know that some of her Antiochian friends had a different Christology than her. And so if they were declared Orthodox. It wasn’t according to the Antiochian standard for that wasn’t the foundation of Chalcedon. The 5th ecumenical council understood that Chalcedon was a mostly moderate Cyrillian council. This is why it can’t be damaged when Theodoret was condemned later in time. His Christology was obviously different for he was not a moderate Cyrillian. So you can’t really use him to damage Chalcedon. I know you said that no OO was trying to get EO to fully repudiate Chalcedon, but you implied it by pointing to the minutes of the acts of Chalcedon over and over again. If the foundation of Chalcedon was non-cyrilian then it would be a problem. This is the picture you seem to be painting! But Chalcedon is mostly a moderate Cyrillian council and so its not damaging. What would move this conversation forward in my opinion is a discussion on how Chalcedon can be seen or interpreted in a way that would be acceptable in your tradition. How would you interpret Chalcedon in an acceptable way? To keep the focus on Theodoret will get us nowhere. I am particularly surprised at some of the exchanges I have seen on this page. I would like to invite all interlocutors on this page to read my most recent publication “T. F. Torrance and the Christological Realism of the Coptic Orthodox Church of Alexandria” published in “T. F. Torrance and Eastern Orthodoxy: Theology in Reconciliation” which was edited by my friend the late astute Greek Orthodox theologian Fr. Matthew Baker, Ph.D. We worked on and discussed these issues together for a good amount of time in brotherly fellowship and from a constructive and reconciliatory approach. Please take some time to read this chapter and consider the theological implications on both families. I personally believe that both the EO and OO are the church, how could I not, I’ve visited the monks of Egypt and read books on the athonite monks, God is present in his church in the lives of these saintly people, neither are “heretics”. I have no issues accepting Chalcedon and the two nature terminology, why would i as I believe they express the same thing? One is more nuanced towards the unity of Christ’s person, the other definition to the unity of His God and man natures. I personally prefer the 2 nature formula, but I don’t believe it matters to God very much, I have an eternity to learn in the age to come, what matters for me now is to live as well as I can with God’s grace a Christ-like life and serve others. You theologians can argue and try to prove all you want about who was wrong, but the spirit of Christ is not one of division, all we should do is pray, and God will see to the rest. Lord as you know and as you will have mercy. This is not a response to any particular posting. I simply add this for reflection from one of the great ascetical fathers and writers of our generation. I will respond yet once again, and then probably stop because of limitations of time and because our discussions here have given me plenty of food for thought and further research, which I ought to pursue in some depth before speaking again — not because I refuse to engage any further. If anything, this discussion has made me more willing to engage in further dialogue with my Non-Chalcedonian colleagues. So here are a few points responding to all of the discussion above. 1) Despite my strong stance on the necessity of Chalcedon, I have to disagree somewhat with Fr Andrew’s defense of Chalcedon and Constantinople II against all comers. It seems clear to me that Constantinople II engaged in a sleight-of-hand in its handling of the letter of Ibas of Edessa. This is probably due to an ancient Christian mentality that may seem uncomfortably “fundamentalist” to us today, which tried to preserve the literal truth of various canonical texts and events, in a way that most of us probably would find unnecessary today. One finds this, for example, in patristic attempts to harmonize the Resurrection accounts between the four Gospels, whereas, as many modern apologists have pointed out, the discrepancies suggest the veracity of the accounts, because a smooth agreement in everything would indicate connivance among the various witnesses (apart from the different but complementary theological approaches that each narrative conveys). But this is obviously another huge topic which it doesn’t make sense to get into here. On the other hand, in Chalcedon’s defense, it is possible to read the letter of Ibas to Mari as not actually containing any heretical statements when read in the context of the current language of his time — indeed, he points out the folly of Nestorius in asserting that the Virgin Mary is not Theotokos — but simply as presenting a rather negative view of St Cyril, which presumably was not shared by most of the bishops at the Council, who referred frequently to Cyril as a touchstone of orthodoxy. But I do not want to assert this reading too definitively, and it is not the tack that Constantinople II took (that Council would have been further embarrassed by Ibas’ warm praise of Theodore of Mopsuestia, who had not been condemned by the time of Chalcedon, but whom of course Constantinople II was convened to condemn). As a further correction, this time of Fr Moses’ argument, neither Theodoret nor Ibas were condemned as heretics at Constantinople II (whereas Theodore of Mopsuestia was) — their writings against Cyril were condemned. In any case, this problem does indicate that we Chalcedonians cannot simply assert every single word of the Ecumenical Councils as infallible, so there is room for discussion on the reception of the Councils with our Non-Chalcedonian dialogue partners. But I would agree with Fr Andrew that Constantinople II was not really _correcting_ Chalcedon — at least not dogmatically; perhaps in terms of persons. It should be noted, however, that something similar was done by Constantinople I in regard to Nicaea, in that it condemned Marcellus of Ancyra, who was long an ally of St Athanasius but a stumbling block for many of the eastern bishops. (The text of Canon 1 of the council actually condemns “Marcellians,” so it may have been trying to spare the person of Marcellus, as the persons of Theodoret and Ibas were spared at Chalcedon and at Constantinople II — the actual teaching of Marcellus and whether he was actually heretical or not are still debated by scholars today.) It is a shame, however, that Constantinople II, which did go to such lengths to try to reconcile eastern opponents of Chalcedon (to the extent of causing schisms in the west), was not successful in reconciling them. To conclude this section of my response, I would state that we Chalcedonian Orthodox consider the dogmas of Chalcedon and the subsequent Ecumenical Councils non-negotiable (including documents canonized by the councils such as the Tome of St Leo — whereas Ibas’ letter was certainly not canonized by Chalcedon), but certain details and perhaps the anathemas can be discussed. 2) As a corollary to that, responding to Mina’s question about our acceptance of Non-Chalcedonian councils, I would first have to admit that I am largely unfamiliar with their content. I think 449 is a no-go, because it exonerated Eutyches. If the Non-Chalcedonians are serious about anathematizing Eutyches, how can they claim that synod as authoritative for them? In addition, I think the accusations of gross violence used by Dioscorus at that council are more than borne out by the evidence (Flavian of Constantinople died of the injuries three days later!). Ephesus 475 is also problematic because it condemns Chalcedon and Leo explicitly, although if someone can offer me an explanation of any positive teaching of the Council (apart from its repudiation of Eutyches), I would be all ears. In general, as Sam Noble stated above, it would help if we had a clearer sense of what is authoritative for all of the Non-Chalcedonians — and perhaps that would require some prior consultation among yourselves to sort out your own common tradition, especially vis-à-vis the Armenians and Ethiopians, and regarding your actual position with regard to Chalcedon and the subsequent Ecumenical Councils of the Chalcedonian side. 2) Also in response to Mina, I still do think that Chalcedonian terminology is better, and some of your own co-believers who have posted here seem to prefer it as well. I strongly disagree that the Joint Statements are clear or sophisticated, nor that they can be a sufficient basis to begin discussion of a common theology. They leave too much to be guessed at and variously interpreted, which is why I compared them to the Henotikon of Zeno in the original article, and in one area they may make a serious error, on the issue of “two natures _distinguished_ in contemplation alone,” as noted by Hal above. In response to Mina’s challenge to be more careful in my use of sources, I checked Fr Staniloae’s statement that I reference in one of the fnn. to my original article, based on another source (indeed, very sloppy of me). Fr Staniloae was actually very eager for reunion to take place, but found himself perplexed at the differences he was hearing among his Chalcedonian confrères, and said that a formula of reunion would require not ten words but ten pages. I think our discussion up to this point has tended to confirm that. 3) Yet another response to Mina, you queried me on my use of ecclesiological terminology. I avoid calling you Orthodox because I’m still not certain you are, although I recognize that you have made stronger arguments for it than the ones I had read before. I call Roman Catholics that simply because that is a long-standing term; I dislike it, but the only alternative, “papists,” is blatantly polemical, though accurate. The term “Oriental Orthodox” is (relatively) new-fangled, I believe it was introduced prematurely, and it begs the question. Although I have used the polemical term “Monophysites” a few times (because the solecism “Miaphysites” offends my sensitive philological ear for Greek and also, I think, avoids the question), I have tried for the most part to stick to the neutral “Non-Chalcedonians.” I call you a “church” with the understanding outlined in the Toronto statement, as referenced in my original post. I realize that may not be fully satisfactory to you, but it is neither “condescending” nor mere semantics — it is simply making my position clear, because words do matter — and I hope you would accept that it as far as I can honestly go at this point. As for your example of the Melitian schism, it was an-ill chosen one — the two sides did not simply make up and agree to be friends, instead Melitius was rebuked and compelled into “retirement” by the Nicene Council, while his clerics were subordinated in each diocese to the local Catholic bishop and were re-ordained in some way (the language of the account leaves it unclear whether this was a full-fledged ordination de novo or some kind of simpler laying-on of hands). And of course that agreement broke down, largely due to the interference of the Arians — the Melitians persisted as a sect for five more centuries, gradually fading from history. I think that imposing such terms on the Non-Chalcedonians would be unnecessary, harsh, and unproductive, but the idea of one side possessing greater authority — in this case the dogma of Chalcedon — is in line with my thoughts. 4) As far as “ecumenical” vs “imperial” goes, I think this rather a red herring. Yes, it is a historical fact that all of them were convened by Roman emperors, but you would recognize that the first three, which you also consider “ecumenical,” are included in that category? As a side note, Fr Moses referred several times to Justinian as “your [i.e. the Chalcedonians’] emperor,” but he was everyone’s emperor at the time, and the Non-Chalcedonians went out of their way to express their loyalty to him, and indeed benefited from his patronage, usually indirectly through his wife the empress Theodora. 5) An additional note on ecclesiology, in response to Fr Kyrillos, as much as I respect Fr Matta al-Meskeen’s activity as monastic renewer and admire his collection of sermons published by SVS Press, I found his pamphlet “True Unity will Inspire the World” (is that where you quote from, Fr Kyrillos?) to be quite muddled and reflecting a Protestant “invisible church” ecclesiology rather than anything I can recognize as Orthodox. I also know that the Non-Chalcedonians have signed joint statements on theology with the Roman Catholics, so I am curious to know what the ecclesiology of other Non-Chalcedonian theologians might be, and this is something that should be discussed in the dialogue as well. With that, unless there is something substantially new, I must call it quits for this round. Thank you all for participating and for inspiring me to further inquiry. I pray that our Lord will guide us, and our ecclesiastical and intellectual superiors, to the whole truth of the matter. Despite my strong stance on the necessity of Chalcedon, I have to disagree somewhat with Fr Andrew’s defense of Chalcedon and Constantinople II against all comers. For whatever it may be worth, a wholesale defense is not quite what I had in mind. Rather, what bothers me is what appears to be a wholesale attempt in the other direction, i.e., a total dismantling and/or rejection of these councils in all their parts because they are “tainted.” It kind of puzzles me that, in all these conversations over the past few days, I haven’t yet seen one of the criticisms of these councils include an acknowledgement of whether their most critical parts — their Definitions of Faith — are Orthodox or not. 1. Serious diologue must require a true desire for unity at all costs. This necessitates an attitude of humility and repentance. I don’t think we are there yet on this point. 2. The witness of the Holy Spirit’s work among the saints of both churches up to our present time. Common ground. This is what I believe attracts many to the hope of unity. Unfortunately, one EO on Facebook said of St. Pope Kyrillos VI (a modern coptic saint and one of the greatest wonderworkers in the history of the church) that he must be satanic (of course if he is wrong then he is guilty of blasphemy against the Holy Spirit). I know this is not the normative attitude but I think on the OO side you find a real joy to discover holy people like Sts. John Maximovitch, Porphyrios, Paisios, et. al. There is an affinity between such saints of both churches in their ethos and gifts that is often surprisingly perplexing. Nicholas, Your treatment of Ibas’s letter seems to be biased and hypocritical. You choose to see his letter as “language of his time” yet you insist that St. Severus didn’t preserve the integrity of the humanity by not teaching two wills and suggesting that humanity for St. Severus was nothing but an instrument, which clearly Mina provided statements from St. Severus himself in which he reaffirms the full human will and operation. Also, perhaps you don’t know yourself, and this once again shows your hypocrisy and bias, that Eutyches has and always been anathematized by our community. A conditional anathema by St. Dioscorus at Chalcedon, and another anathema in Ephesus III in 475 by his predecessor St. Timothy II. Not to mention that St. Timothy II was consistently writing and excommunicating actual Eutychians in Egypt, Constantinople, and elsewhere. Anyone who didn’t believe in the full humanity of Christ ,or confused, or mixture the natures was dealt with. Why are you allowed to interpret and reinterpret Chalcedon as you see fit, but we aren’t allowed to interpret Ephesus II as an anti-nestorian council? in which it was ecumenical, called by an emperor who was trying to root out the nestorianism in his empire. Eutyches was only exonerated for confessing an orthodox christology (according to the one nature formula), sort of similar to what you claim about Ibas and Theodoret in Chalcedon. Thats the only reason he was exonerated, and no the council didn’t establish his heterodoxy as orthodox. I think thats an unfair and biased view. Furthermore, there is probably evidence that Patriarch Flavian didn’t die 3 days later, but rather around 6 months latter. I’m publishing this comment because of its content, but I almost did not because of the outright accusations of hypocrisy and bias, etc. There’s no need to make personal accusations. Any further comments with accusations of that sort will not be published. My apologies Father Andrew, online polemics can bring out the worst in people! I’ve been very pleased, though, that in this sequence of posts, the quality of comments has been generally getting better rather than worse. Usually goes the other way. .. and Fr. Andrew we love your podcasts. just to mention some Ethiopian saints to read about if intersted. I felt compelled to respond to the comments here, as I notice an increasing exasperation and defiance from folks on both sides as the discussion on Dr. Marinides’ initial post continues. This is heart-breaking to me, because this is not the spirit by which these things should be ever be discussed, and seems to be solidifying resentment, ill-will, and feelings of disunity among the brethren who have read and are commenting on this important discussion. I wanted to set the record straight as much as possible, if I am able, by God’s grace. I hope that my insights are helpful, as I am an Oriental Orthodox Christian (Malankara Orthodox) Subdeacon who graduated from St. Vladimir’s Seminary. I am also the son of an Irish-American priest in the Malankara Orthodox Church, who was raised in a devout Roman Catholic family and who was theologically educated at a Roman Catholic seminary before his journey to Oriental Orthodoxy, and an Oriental Orthodox mother from India. As such, the Chalcedonian schism and its tragic consequences have been an ever-present reality in my personal, academic, and ministerial life. I have tears in my eyes as I write this, because this schism is, quite frankly, enormously painful to me personally. 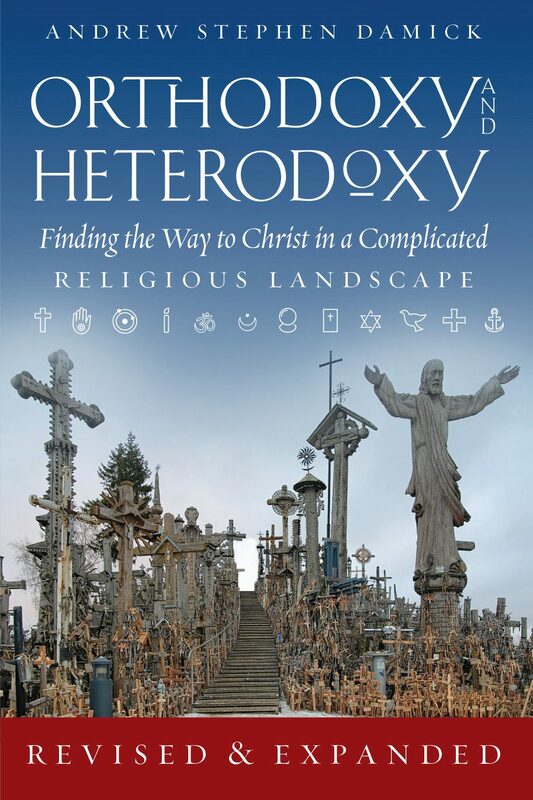 It frustrates me to no end that the One, Holy, Apostolic and Catholic Church is divided, and that we are often at a loss to explain the reasons for this pastorally to seekers, catachumens, and Orthodox faithful whose personal faiths are often rocked by this schism. I think of how much good we could do in the world for our Lord’s sake if the Ancient Church was one again, and wonder how many people we have pushed away from the fullness of the faith here on earth because of this tragic schism, precisely because the schism’s ecclesiastical implications fly in the face of what we champion to protestant and quasi-Christian denominations – that proof of the fullness of the faith is evident in the history and unity of Orthodox Christianity and the presence of the Holy Spirit in its conciliatory life going back to the Apostles. The schism is NOT for nothing, as has been firmly established here and elsewhere, but I ask for the Lord’s mercy on us all because I think both sides have not made re-unification a priority, and have fallen too often into pridefulness and aggression in debates about this issue in recent times (and since the 5th Century, quite frankly). Fr. Damick and my EO brethren who have commented, my understanding is that the OO Communion is absolutely willing to affirm the Orthodoxy of the Chalcedonian Communion in any reunification. I’m surprised this has been debated here by people from both sides. “The two families accept the first three Ecumenical Councils which form our common heritage. With regard to the four later Councils of the Orthodox Church, the Orthodox affirm that, for them, points one through seven are also the teaching of these four later Councils, whereas the oriental Orthodox consider this affirmation of the Orthodox like their own interpretation. In this sense the oriental Orthodox respond positively to this affirmation. Perhaps I interpret the above statement incorrectly, but my firm understanding and what I have been taught by numerous OO priests and heirarchs over the years is that we are happy to affirm the Seven Ecumenical Councils of Chalcedonian Orthodoxy in reunification, regardless of whether eventual unity is based on the Joint Declarations and work that has been done so far. It is important to note that the Oriental Orthodox (in dialogues, if I’m not mistaken, and in popular sentiment at the academic and parish level, and even at the time of the Council of Chalcedon) accepted ALL the canons of Chalcedon, with the notable exception always having been the Tome of Leo. Significantly, however, the OO Communion present at the dialogues HAS in Joint Statements agreed that the Tome, however, is a perfectly Orthodox Christology based on fruitful ecumenical dialogues. That should be hugely significant but has somehow been glossed over in this online debate. The constant accusation on this forum that it’s not clear what the OO believe about their Chalcedonian brethren or otherwise – and that none of us has corrected that misconception until now – is mystifying to me (and I don’t mean ‘mystifying’ in that good, warm and fuzzy Orthodox way). Affirming the Seven Councils should not still be an issue for re-unification. Someone, please correct me if I’m wrong. The issue of Monothelitism might take the most theological discussion to resolve as far as the councils go, but, as has been rightly pointed out by brother Mina Soliman, that is primarily a problem that has arisen out of Chalcedonian Christology. One of the theological criticisms I have heard thrown at the Non-Chalcedonians is that, while our Christology may be Orthodox, it doesn’t go ‘far enough.’ However, I would counter that by saying the OO feel our Christology is STILL perfectly Orthodox, even if our Christology may not be academically satisfactory to the EO, and that the theological issue of Monothelitism that arose in Byzantine Orthodoxy MAY have been result of blessed Fathers of the Church trying to over-define mysteries concerning our Savior Jesus Christ and the Godhead. That being said, they were trying to affirm true Orthodoxy in the face of actual and suspected heresy, so I don’t begrudge them that. Our Oriental Communion could very well benefit from some of the more defined and refined theological formulations that resulted from development after the Council of Ephesus by the EO. However, I personally believe our Christology based on St. Cyri’s “Myaphysis tou theo logu” is perfectly adequate by itself. Remember, my Chalcedonian brothers and sisters, the Oriental Orthodox affirm that Christ is both FULLY human and FULLY divine at the same time with no confusion, and no dominance of one over the other. We say that mystically happens in ONE nature – emphasis on mystery. He has activities or energies of both. There is no issue with that on the OO side. Yes, Christ has one will in our confession, but it is not an issue because we don’t confess two natures. Christ’s full divinity and humanity is perfect, but it is mysteriously one and united – so there’s no need for our Church Fathers to have struggled with the two wills vs. one debate in the same way that raged in Byzantine Orthodoxy (as a result of theology that developed WITHIN a Chalcedonian jurisdiction, the Syriac Maronites of Lebanon). A will is proper to a nature in your understanding and necessary for it to be a perfect nature, not dominated by the other. I get that. But we confess the same thing you do, namely, the full and perfect unity of humanity and divinity of Jesus Christ, and that full human activity has to play an active role for Christ’s salvific work. If he was only slightly human, the Incarnation and His salvific work doesn’t make sense, theologically, even to us “Monophysites.” By the way, please, please stop calling us that. None of us call you Nestorians anymore, and we would appreciate the consideration. I hope this clears things up for Fr. Damick, Dr. Marinides, and the other EO on this forum. This IS what we believe and a thorough consultation of PRIMARY sources and joint declarations should be more than sufficient to establish the Non-Chalcedonian/Oriental Orthodox position on these issues. Yes, not every individual agrees (which is evident on these forums), but that is the case on the Chalcedonian side as well. Not everyone is even in communion with each other on the Chalcedonian Orthodox side currently, if I’m not mistaken. Isn’t that the primary impetus behind the supposedly upcoming Great and Holy Council? That’s not a pot-shot. We have issues with that as well in the OO Communion, sadly. With all due respect, citing secondary sources (even if they are from the great Fr. Florovsky), about what Oriental Fathers did or did not believe is not adequate enough. It’s helpful, but not enough. Because of the extremely nuanced history and theological issues of the schism, it is also not just enough to take any Church Father’s ‘word for it’ about what Non-Chalcedonians believed. That is important, but is not enough. Interestingly, we also consider St. John of Damascus AND Maximus the confessor as saints, though not always officially mentioned on our calendars, knowing full well they were against what they BELIEVED we stood for. They are against Monophysitism. Hey, so are we! We also anathemitized Eutyches and believe that divinity swallowing up humanity in the person of Christ is heresy. Sometimes, and this can be a bitter pill for us to swallow (no sarcasm intended at all), certain issues are more nuanced than our Holy Fathers may have been aware, through no fault of their own, and no inadequacy of their holiness. (Take the issue of suicide, for example. The Fathers were NOT mistaken that suicide is wrong and a sin of murdering oneself and of extreme despair and hopelessness, but we have nuanced our understanding and how we deal with this issue pastorally, now, and its implications for how we view those who have committed suicide, with respect to mental health issues that are more fully understood since the Patristic Age, etc). That is why we don’t just take one or two Fathers’ writings to determine what we believe, but refer to truths using the collective mind/phronema of the Holy Church. We don’t, for example, nullify the importance of the Fathers when we disregard some of the more speculative theology that St. Gregorios of Nyssa wrote, for example. But, at the time, he wasn’t aware of the incorrect theological consequences that could arise from his speculation that BECAME clearer after his time through the Ecumenical Councils of the Church and the collective formulations and theological considerations that developed later. So, my brother Dr. Marinides’ and my Coptic fathers and brethren on this forum, I share and admire your devotion to the Fathers, but I hope what I have said puts you at ease, at least somewhat. I don’t believe re-unification and a re-examination of this issue, though there is still work to be done before it is satisfactory, is necessarily admitting to leaving anyone’s revered Fathers behind or disregarding them. The Fathers WERE Orthodox and always will be and remain authorities along with Scripture, the Ecumenical Councils, and everything that encompasses Holy Tradition. However, the Holy Spirit CONTINUES to work through the One, Holy, and Apostolic Church. That is why certain things were made clearer over time through Ecumenical councils, etc., which weren’t as insisted upon earlier, necessarily. I see no reason why we can’t be confident that if re-unification is decided upon in the Orthodox, Ecumenical way, even if it is 1500 years later, that this is the work and will of God. Perhaps, if I may speculate myself, the incomprehensible and difficult length and fervor of this schism relative to other schisms that have been healed more quickly may be a result of God’s providence, just as it was God’s providence that the Hebrews would wander 40 years in the desert before reaching the Promised Land. They certainly could have found that place much sooner, and should have, but they had to be FIXED by God first. He had to make them whole, and let them realize their brokenness before they were ready to enter their inheritance. It took THEM 40 years to be ready, not for God to be ready. With regard to individual saints and previous anathemas, my understanding as well is that OO leadership is already willing and has stated such at dialogues that they are willing to lift them on our end. This should not be an issue, anyway, as Saint Isaac the Syrian is a universally revered saint in both EO and OO churches, yet was firmly a member of the Church of the East. His writings make clear he was a devoted follower of Theodore of Mopsuestia, who is anathema in Chalcedonian and Non-Chalcedonian churches. Yet, he is part of the Synaxis of saints in both confessions and his influence on universal Orthodox devotion and prayer are enormous. That historical precedent has already been set, so that fact that people in Chalcedonian circles say “what about our precious anathemas,” or “what about their saints” is frustrating. The issue of deification has been satisfactorily explained by brother Mina Soliman, so I won’t delve too much into this topic again. Please note, just as one person – Patriarch or not – may sometimes misrepresent the Church’s beliefs, that is not adequate evidence to point out that the OO are divided over what they believe. He was ONE person, despite how holy and influential he was. He was also NOT a scholar and, as Mr. Soliman pointed out, couldn’t seem to navigate the nuances of Greek terminology with Arabic. It was a public controversy, yes, but that means nothing. I believe Fr. Seraphim Rose has also quite a devoted following, yet has created controversies with many of his teachings in the EO. I, for one, am perplexed by how fervent devotion to Toll Houses is, particularly in Slavic Orthodox traditions. Sure, you can quote individual speculation of some Fathers to back it up, but, in my humble opinion, it is speculation on par with Purgatory and the Immaculate Conception of Mary, (which Latin scholars also back up using Patristic sources, often ones common with the Orthodox). I do not, however, hold that against EO or believe this widespread belief throws the whole of the EO confession into confusion. It does not. He was one person, no matter how large his following continues to be (yes, I am fully aware that others in the EO strongly affirm Toll Houses, not just Fr. Rose, so you may well think I’m a heretic for not caring too much about Toll Houses). I also believe he was personally a holy man, but I digress. Keep in mind, Pope Shenouda’s incorrect views on theosis created a huge stir in the Coptic Church BECAUSE, I would argue, it was an incorrect teaching that the people and a prominent Coptic theologian (Fr. Matthew the Poor) noticed immediately. I think that speaks volumes about what the majority of the Copts and the rest of the OO believe about deification. Again, to point to an example, I don’t accuse EO of being “Sophialogical” (yes, I made that word up) heretics because of the speculations of one holy bishop, St. Sergius Bulgakhov. I notice an exasperation from Fr. Damick and others as well when they encounter OO clergy who accuse them, incorrectly, of being heretics and not believing in the resurrection, etc. I share your exasperation at those ridiculous accusations. Now you know how we feel. We have been told countless times in person by members of the EO that we don’t believe in the full humanity and full divinity of Jesus Christ, and even that OO don’t believe in the Trinity (yes, that happened to one of our families where I’m from), with total disregard to what we have to say in response, and without even asking us what we actually believe in the first place. This has to stop, on both sides. Fr. Damick and my fellow EO brothers and sisters, please don’t take to heart the polemics of individuals, but this nonsense has to stop on both sides. I am sorry for writing such a long post, but I hope it is included in its entirety if, by God’s grace, it serves to positively impact this discussion. Fr. Damick, I love your ministry and am so appreciative of everything your blog and Ancient Faith Radio has done for the Orthodox world. I think it’s no coincidence that Dr. Marinides’ article stirred up such a fierce response from OO Christians. OO Christians love your work and Ancient Faith Radios’ (I know you are not a representative of AFR), because there is, clearly, something significantly the same about the faith of both confessions. Many of our people are extremely well educated as to your and our respective Christologies and positions, and if Chalcedonian Orthodoxy was fundamentally at odds with ours, I don’t think EO ministries such as AFR and you blog would be embraced quite as completely as they have been in the OO world – especially by OO scholars. For what it’s worth, without noting an exact count, it appears more OO have been active on these particular threads than EO. Clearly, we believe you are Orthodox. I do have one question to pose to Dr. Marinides and Fr. Damick, or anyone who can help. I have asked this many times at seminary and elsewhere, without getting a satisfactory answer, so I ask this sincerely, and not in a mean-spirited way. If Christ had two wills, yet the Trinity is three persons and one will, what does that mean for the Trinity? Did Christ’s human will not count while he was on earth, or was it simply discarded after the Resurrection and Ascension into heaven? Does the Trinity have one will but with Christ’s human will dangling off to the side? I am legitimately curious about the theological implications of Chalcedonian Christology with respect to this and am not mocking your position in any way. Please let me know if you get a chance. This is the kind of thing I was referring to when I said we sometimes feel the Byzantines OVER-theologized things. We, on the other hand, err on the side of leaving certain things up to mystery, maybe to a fault (that is still up for discernment in the reunification process). But, I am not a scholar and was constantly outclassed by my peers at St. Vlad’s, so I may be overlooking something fairly simple with regard to my question. Thank you all and God bless you for your fervent devotion to Christ and His Church. I am a sinner, so please say a prayer for me if you remember, and I anticipate many holes may be poked in my response, as I am not a scholar (that is not an attempt at humility). Please, please, though, I urge you all not to let emotions rage when discussing this critically important topic. God’s will and the souls of many are at stake with this schism and the re-unification process. As a Coptic Orthodox person, I would like to tell you how much you are loved and respected by the Coptic Church. 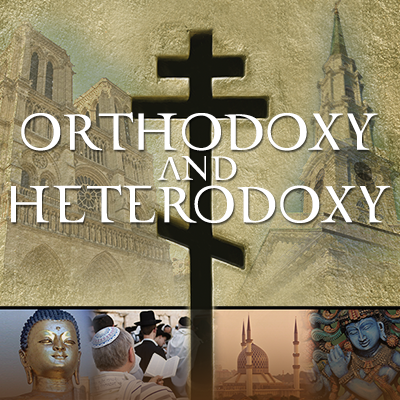 I can’t tell you how many times we have been referred to your podcast, Orthodoxy vs. Heterodoxy. We have been listening to your remakes of it and looking forward to every new episode that you add. It is because of the Coptic Church and our Coptic priests that we know about you and have all grown to love you and all the wonderful things you teach. We refer your valuable material to non-Orthodox people, new members of our Church and we are all blessed by Christ’s great works in you. NO ONE considers you or anyone in the Eastern Orthodox Church a heretic. We listen to you, we learn from you, we respect you, we admire you, and we love you. We are all praying for the day that our Churches will officially unite…however in my opinion, and so many Coptic hearts, there is already an unofficial union. If this wasn’t the case, we wouldn’t be constantly referred to Ancient Faith Radio for the treasures it teaches, we wouldn’t be encouraged by our clergy to admire and learn from amazing men of God like you, Father Thomas Hobko, and so many others. Truly in our hearts, we are one family, and One Holy, Catholic, and Apostolic Church of Christ. I hope and pray that my intentions in writing my comment were not in a spirit of legalism or hatred. I hope it was out a desire for truth and reality. I will let God decide. Pray for me father. It seems to me that if I am to be faithful to my Church’s ecclesiology and self understanding, I must. As Bishop Kallistos Ware said “The Orthodox Church in all humility believes itself to be the ‘one, holy, Catholic, and Apostolic Church’, of which the Creed speaks: such is the fundamental conviction which guides Orthodox in their relations with other Christians. There are divisions among Christians, but the Church itself is not divided nor can it ever be” (The Orthodox Church, revised edition, p. 307). And as Protopresbyter Thomas Hopko of Blessed Memory said, “Orthodox Christians claim that the Eastern Orthodox Church, the Chalcedonian Orthodox Church, is the one true Church of Christ. That’s the confession of faith that we make. Of course, we have to say right away that there are members of the Orthodox Church who are relativistic, especially in America, there would be those who could say, “Well, all churches are the same,” and, “no one can claim the truth,” and, “different churches have different things,” so we really shouldn’t be so proud and so arrogant as to say that our church is the only church or the only true church, that we really should not do that. However, that is the teaching. I mean, it really is the teaching of the Holy Scripture and certainly of the Councils and certainly of the Holy Fathers and the saints. There would be no doubt at all, absolutely no doubt, that it is really a dogma. I would say that, a kind of a formal, official conviction and teaching in the Eastern Orthodox Church, that the Eastern Orthodox Church and only the Eastern Orthodox Church is really, truly, fully the one Church of Christ…. And here we would definitely say the Church that we say we believe in is the Eastern Orthodox Church. It’s not the Roman Catholic Church. It’s not an Oriental Orthodox Church. It’s not one of the Protestant churches. It’s not the Anglican Church. It’s the Eastern Orthodox Church which, on the Planet earth, is a communion of Orthodox churches, self-governing churches, who are in communion, one with another, and claim that this is the Church that we believe in when we say the Nicene Creed” (Podcast: Speaking the Truth in Love, Episode The One True Church Time, 0:25-3:45). I have also been taught that the Eastern Orthodox Church cannot be divided, as Bishop Ware said above and as a note in the Orthodox Study Bible says, “Is Christ divided? Or is the Church? The answer to all questions in this passage is no. One can leave the Church, but not divide it? (P. 1552, note on 1 Chor. 1:13). I have also been taught that “the doctrinal definitions of an Ecumenical council are infallible” (The Orthodox Church: revised edition p. 202). So it seems to this Eastern Orthodox, that in order to maintain the Faith of Christ, we Chalcedonians must be strict in adhering to the number of councils. But also understand that in saying this not only do I exclude the miaphysite churches, but also most of my immediate family (except my daughter and wife) who are protestant, most of my distant family, and many of my friends (Protestant and Roman Catholics Christians). I take no delight whatsoever in saying this. That being said, it is also my understanding that sometimes an internal schism can take place for a time: such as the case with ROCOR’s schism with portions of the Eastern Orthodox Church or the Bulgarian Schism with Constantinople from the beginning the second half of the 19th century to 1945. These were eventually healed. But when Churches split, and one church eventually proclaims Dogma that the other opposes (such as the case with the Catholic Church and the Orthodox Church i.e. Vatican 1) or you have canonized saints of one Church being declared anathema (such as the case with our Churches i.e. Severes of Antioch), I see the fruit of two different Churches. It seems to me, that as we chalcedonians and non-chalcedonians dialogue we must have a clear understanding of what the ecclesiology of one another churches are. How do you understanding your church’s ecclesiology in relation to other churches? 1. You wrote: “This is probably due to an ancient Christian mentality that may seem uncomfortably ‘fundamentalist’ to us today, which tried to preserve the literal truth of various canonical texts and events, in a way that most of us probably would find unnecessary today.” There is no one today that understands this notion better than the modern-day Copt who lived through the time of Pope Shenouda. Why do I say this? If you follow for instance Tony Rezk’s responses in this blog post and the last one, you will find he is trying to defend Pope Shenouda. I too tried to defend Pope Shenouda, and searched for anything that even implied deification, let alone taught it. The facts are clear however, he wrote a booklet against deification, considered it heresy, and did not believe the Church fathers taught it. What do we do today? We revere him as our father, we hide away the fact that he had his flaws, and we elevate him to sainthood because of his struggles during his papacy. Today, I tell people not to be surprised if Pope Shenouda taught some heresies. He was a man of his time. Arab captivity still captivates a lot of our “ignorant” clergy. This is one of the few battles we in the Coptic Church are struggling with today. This is a struggle that echoes 19th Century Russia as far as I am aware, and so I am hopeful that this “de ja vu” will lead to a newfound glory of the Coptic Church. We are entering an Oriental Orthodox “neo-patristic” era. That is why we canonized St. Habib Girgis, a man who brought us into a “Coptic Renaissance”, who opened the doors for us to pursue theological studies and to better our own education of Orthodoxy based on the Fathers. The monastery of Abu Maqar are exemplary in this, and we owe a lot to Abouna Matta al Masqeen, a true saint and Church father in our Church. As for Pope Shenouda, he is a modern-day Augustine, a man who knew Arabic primarily, without a thorough knowledge of ancient Greek or Coptic. Like Augustine, if he had at least known ancient Greek, we would have had a different Pope Shenouda. He was nonetheless, a man who encouraged us to study the Church fathers and become better than him, more well-versed than him. His spirituality and fatherhood was needed in our time. Because we Egyptians have the mentality to preserve his honor in an exaggerated manner, we foolishly extended this honor even to literal infallibility, something that we should grow to understand is unnecessary. Another example of this mentality is the case of St. John Chrysostom and Pope St. Theophilus (he is canonized in our Church). It is agreed by all that the latter wrongly convicted the former that lead to his persecution and death. Because we want to keep his honor, we have a tradition where the Theotokos appeared to St. Theophilus with St. John Chrysostom, and St. Theophilus cried tears of repentance. There seems however, according to the evidence, no existence of this, especially since this event seems to be the “reason” to lift the anathema against Chrysostom. Additionally, we have records showing that it was St. Cyril who lifted the anathema because of episcopal pressure from all sides. He remained adamant however even after lifting the anathema that St. Chrysostom was guilty, even though he put St. Chrysostom to good use against Nestorius. 2. Fr. Florovsky has recognized that there has been a recent “Nestorianizing” tendency in the West and shared his concerns with the Oriental Orthodox group. In the beginning when reading about this, all I understood was that the West was being more open to Nestorius, in whether he really was a “polemical Nestorian” as we made him out to be. However, if one is affected by Western scholarship, one may fall into the trap of believing that indeed, Nestorius, Theodore, Diodore, and the Assyrian Church all have a Christology that is consonant with proper understanding, except one very important issue: theosis. One of the things I have come to learn and appreciate is how important theosis is, because is the mirror image of the Incarnation. Without it, the incarnation makes very little sense. Some scholars have come to appreciate the condemnation of Theodore and Diodore, as well as Nestorius because of theosis. Ibas was even quoted saying, “I don’t envy Jesus being god, for I too can become god” as a ridicule of the Alexandrian tradition of deification. I recommend also reading “The Appropriation of Divine Life in Cyril of Alexandria” by Daniel Keating, which outlines an excellent comparison in one of his chapters between the theology of Cyril of Alexandria and Theodore of Mopsuestia. For Theodore, God is so infinite, He cannot “literally” dwell in anything created. So the incarnation, the “fullness of Godhead dwelt” meant for him a mere honor to Jesus, not the hypostatic union of the infinite Godhead as St. Cyril believed. Furthermore, he was against deification. The ancient Assyrian tradition even rejected the second epistle of Peter that has the famous “partakers of the divine nature”. If one has to judge a Christology, one also has to judge its soteriological basis, as you cannot separate the two. Both Christology and soteriology go hand in hand in our tradition. An accurate and Orthodox Christology must also reflect an accurate and Orthodox soteriology. St. Paul gives us the importance of this in 1 Corinthians 15, where the mere denial of our own resurrection is essentially a denial that Christ Himself is risen, even if in fact it was believed. Therefore, if there is no theosis, we might as well should not believe in the incarnation. If one nature does something, and another nature does something else, rather than both natures working together in one hypostasis, then there is neither a real incarnation nor a real theosis. This is why Ibas’ letter was an abomination in the eyes of the anti-Chalcedonians. For Ibas to write that the Formula of Reunion between John and Cyril was a “repentance” of Cyril from his council was a de facto rejection of the Council of Ephesus 431. I realize this contradicts the Council’s official stance, but this inner contradiction was an issue for us in the past. The exoneration of Ibas’ letter was a major problem adding to our Church fathers’ suspicions in Chalcedon. Nevertheless, of course, we have our interpretations, and you have your’s. In the end, I am grateful for your Orthodoxy regardless of interpretation. We find you in agreement theologically with the THEOLOGY of Ephesus 449, Ephesus 475, and Severus. That is what matters to me. Ephesus 449 exonerated Eutyches because he submitted an Orthodox confession of complete double consubstantiality of Christ. In Ephesus 475, we condemned Eutyches for his denial of this double consubstantiality. Yes, true, this council did reject Chalcedon and the Tome of Leo, but so did your later councils condemn Dioscorus and Severus as “heretics” (even though Chalcedon never “officially” condemned Dioscorus as a heretic, even though the Papal legates thought so). The point is, there is no perfection. There are many imperfections if we become nit picky. Unless you believe the ends justify the means of a council’s decisions, saying I accept one council or another is a moot point if proper theology is not believed or taught. Theology is the foundation of a council’s Orthodoxy, not vice versa. That is why I also think the Joint Commissions is no mere Henotikon. It did more than the Henotikon. It addressed the councils’ decisions and our respective theologies in detail. It addressed the fact that we must confess those who we previously anathematized have been Orthodox all along, and that’s not just Chalcedon, Constantinople 553, Constantinople III, Nicea II, Leo, and Maximus, but also Ephesus 449, Ephesus 475, Dvin I and II, Manzikert, Dioscorus, and Severus. We all compliment each other’s Orthodoxy, even though we all cursed each other historically. That is a mystery we need to grapple with. 3. Nicholas, I’m not talking about Meletius of Lycopolis, but Meletius of Antioch, i.e. the schism between the Meletians and the Eustathians. It’s still not a perfect example, as the Chalcedonian situation I believe presents a unique problem, but it is still an example of a schism between Orthodox bishops of Antioch, where the schism lasted until 415 AD. 4. I don’t think this is a red herring, but a very serious problem within your communion. There is a point to be made about the present-day EO use of “ecumenical” that is misleading in my opinion. Now “ecumenical” seems to mean “unquestionable authority”. Last I checked, if that’s the cause, why isn’t the council of Jerusalem in Acts 15 “ecumenical”? If part of your theology defines 7 councils as “unquestionable authority”, I am afraid to find that a lot of those in your Church does not agree with you that merely theological statements of your councils are acceptable. Many EOs also want us to condemn our own fathers for their alleged “heresies”. We disagree with that. We don’t find them heretical. We believed they taught the double consubstantiality of Christ very clearly. This is a problem that needs addressing in your Church. For some time, many people will continue to ask us “do you accept the 7 councils?” What does “accept” mean? For you, it means “definitions”. For someone else it means “the saints in that council.” For another it means “accept all the canons and anathemas”. Sometimes, this discrepancy is because of a misleading understanding of what “ecumenical” means.